The Austria Haus Club of Vail is a full-service hotel-style residence club in the heart of Colorado, ideally located in the center of Vail Village. Just a minute walk from the Vista Bahn ski lift. Situated next to the Covered Bridge, the platinum-rated residence is in the heart of world-class dining, specialty shopping, and outdoor offerings of the pedestrian Village. 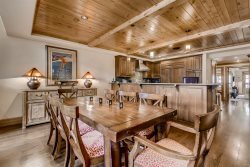 Every residence enjoys views of Vail Mountain, and the heated outdoor pool and hot tub overlook Gore Creek.